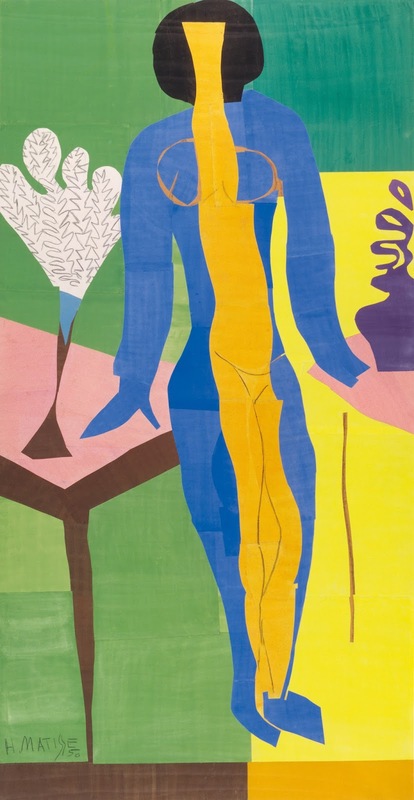 I’ll say it right off: Henri Matisse: The Cut-Outs will be one of the Museum of Modern Art’s most popular exhibits. Over a half million visitors paid a visit to the the Tate Gallery to see this show on its first stop this past summer. It’s a soul-lifting dance of floating shapes of color. It's a garden of simplified elegant perfection that flows from gallery to gallery. The curving other-worldly beauty of Zuma, one of my favorites, shown left, the quartet of deconstructing Blue Nudes or, familiar to Washingtonians, the National Gallery of Art's Large Decoration With Masks: this show is out to please in every way. 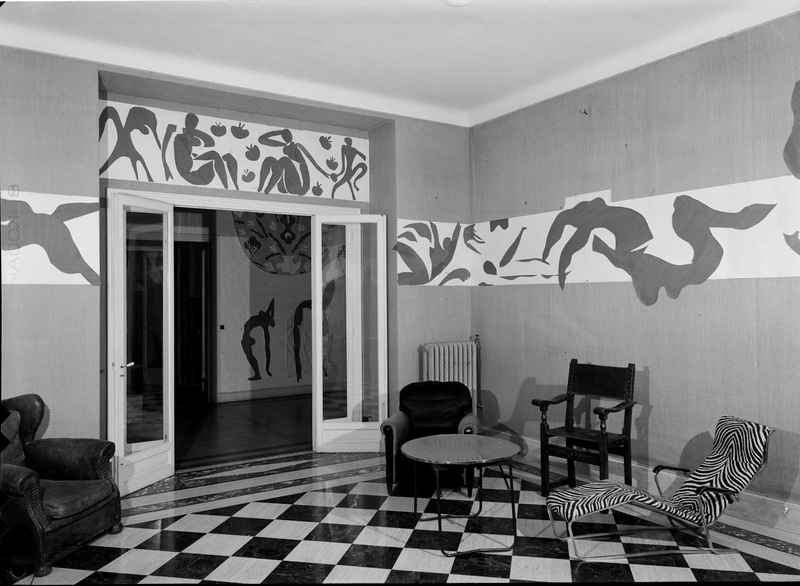 Towards the end of his career, unable to stand on his own due to major colon surgery, Matisse began composing using scissors to cut paper shapes, which an assistant would arrange directly on the wall of his studio with pins and tacks. There is vintage film footage in the exhibit, which documents the process, and it is fascinating and eerie to watch. It's the master at work, as an assistant holds the paper, turning it for him with each cut. Bold shapes of brilliant color, the subtle nuance of a change in hue or the exposure of a white shape: this process took Matisse to a conclusion that he may never have achieved with paint alone. Unencumbered flatness, a pure vibration as colored shapes interact. This new format was a perfect medium for the artist to use in illustrating the Jazz publication or decorating the vestments for the Rosaire Chapel. The flatness made for powerful graphic imagery, perfect for the many reproductions that we have all grown accustomed to. 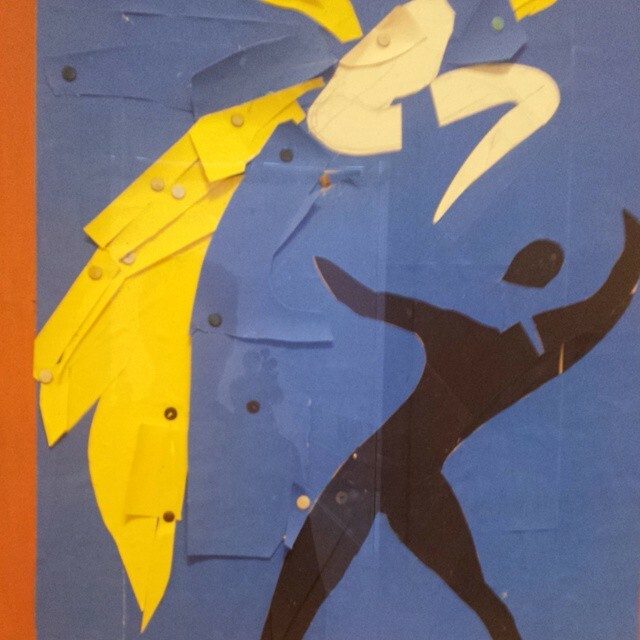 However, Matisse apparently didn't care for how his work looked in this format. What you will never grasp in reproductions are remains of the pin pricks, the uneven edges of cut paper and the three-dimensional effects of overlap–embracing, glued paper. It's a very different experience. After a five-year restoration to restore its original color and form, Matisse’s Swimming Pool returns as a centerpiece to this exhibit. Designed as his own personal pool, it once graced the walls of his apartment in the Hôtel Régina in Nice -- everyone in! This show runs from October 12 to February 8. Timed tickets are necessary. If you have ever considered a membership, this may be a good time to do it: no waiting in lines.